ECO-NAO module with 12 digital I/O and 6 programmable analog outputs. 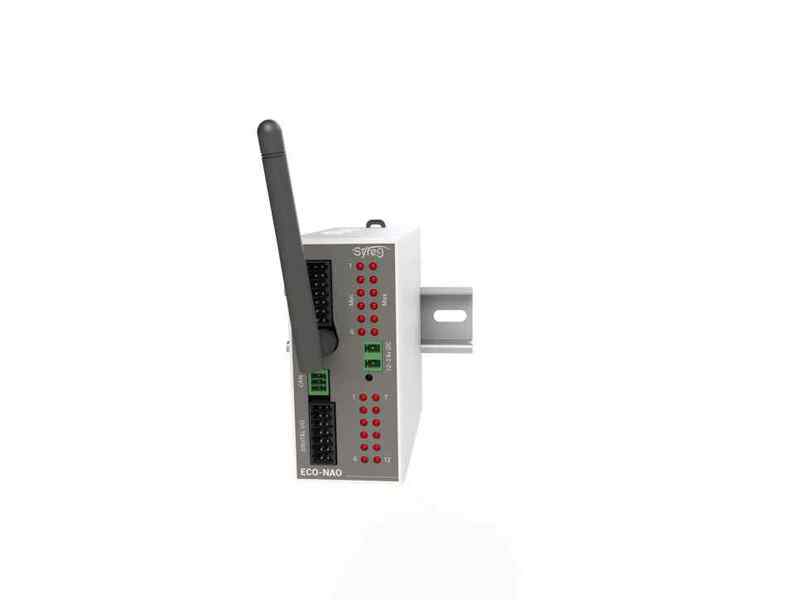 The NAO-ECO module has a connection to the CAN and RF networks and communicates with the ECO-CMC module. Each ECO-NAO has a unique UID address on 4 bytes (eg 8D9F). It is inscribed on the box. 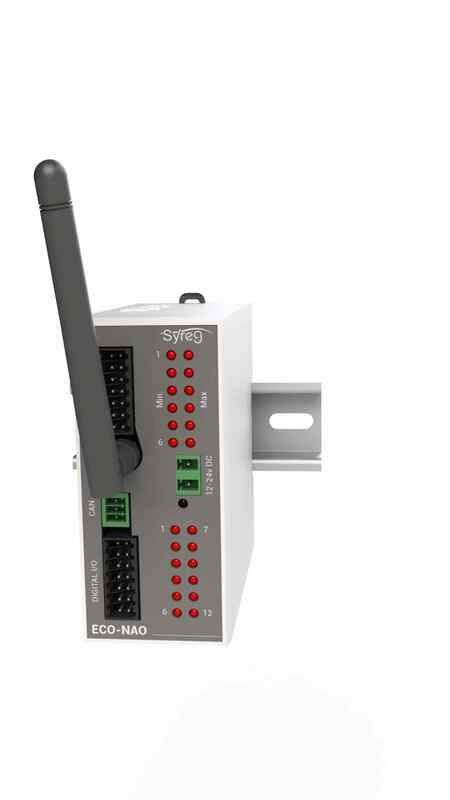 The digital I/O are electrically isolated which requires placing a separate power supply. The CAN network comprises a galvanic isolation and a jumper can be configured to place a resistor at each end of the CAN bus. The analog outputs are protected and require an external power supply of 12V. How to view ECO-REL status? On the front of the case, 6 LED display relay status, LED on = relay ON. Yes, a component protects output contact against inductive loads. In addition, it meets the most stringent requirements for absorbing an overvoltage from indirect lightning. The maximum admissible voltage is 275V. How to connect the ECO-REL module? Relay control is done directly on the RJ45 connector. An RJ45 cable (8 wires) is connected to ECO-REL and the other end of the cable to a wire outlet which is connected directly to the removable insertion connector. To facilitate connections, there is a cable as standard in the accessory section. The ECO-REL module connects to the digital parts of ECO-NUM, ECO-NAI, ECO-NAO modules. How do I fix ECO-REL module? 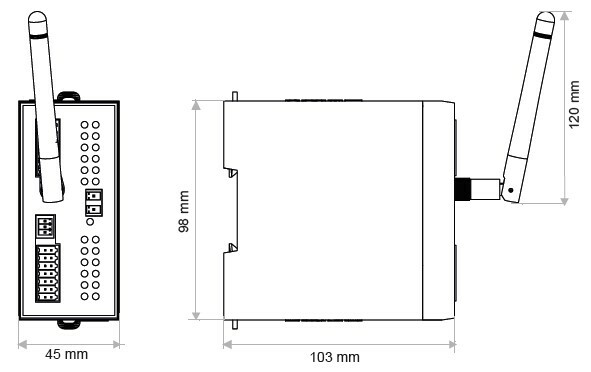 ECO-REL module can be placed on a standard DIN rail. A wall box version exists as well.